After a long time I'm back. I think you have got an idea about Hibernate integration to your Simple Java application in my previous post. Here I'm going to explain how to use Hibernate to insert, update and delete data in GUI application with MySQL database. I have posted a post to do this using JDBC. Here I'm going to do this using Hibernate. 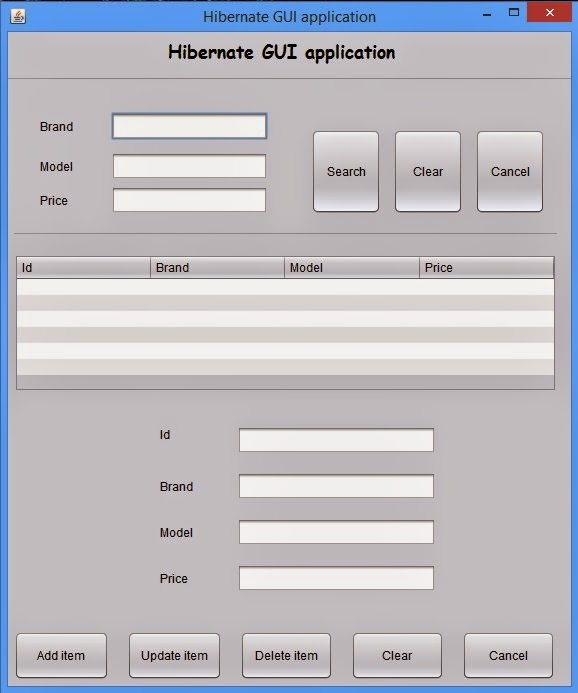 Before you implement this, you need to create a database for this application. I have used, I previously created database in previous post. You can download that sql script and create the database with data. Then you need to create following type of GUI. It may easy to go through with this tutorial. 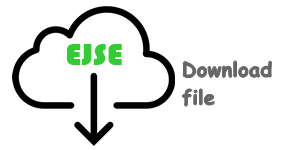 You can also download the project file and easily import it to NetBeans. It looks like this. It is better if you can refer variable names of these text boxes and buttons that I used. It is very difficult to explain everything about this application. Because there are many functions. First of all you need to think the logic of this application. Then it will be easy to get an idea about HQL scripts. In my GUI application you can see a button called search. You can search any data which has been stored in the database. You can search by brand or model. Or else you can search by using both of them. But I skipped searching by brand + model + price. I assume that a model cannot be duplicated with different prices. I used a set of if statements to check that availability when searching. Easily you can understand about this. I have created this function to list down the extracted data from the database. This function is used to display data on the table. There are two vectors to create table headers and table data. This will display data row by row. I have created this function to add new item to the database. There is a method called save() to do this task. There I created a instance called mobile which belongs to Mobiles.java class. This class is used to get values and set them. Once you have done this task, you need to use commit() method. This method is used to selections of the table. You can just select any data on the table and edit them. This is little bit long. But it is very easy to understand. I have used many pre defined method in this program. It is better if you can go with Oracle documentation to get the explanation of these methods. You can download full code(project file) using following link. Just try and enjoy with Hibernate. See you soon with another post.